Just six miles off of Hwy. 83 between Bismarck and Minot. Lodging Accommodations: Lodging accommodations are available in Garrison, ranging from Motels to Unique Lodging. 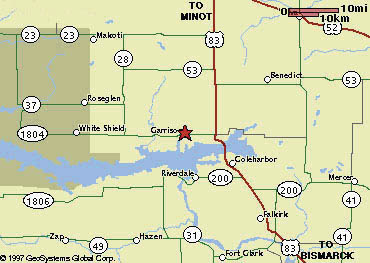 Please visit www.garrisonnd.com for more information.